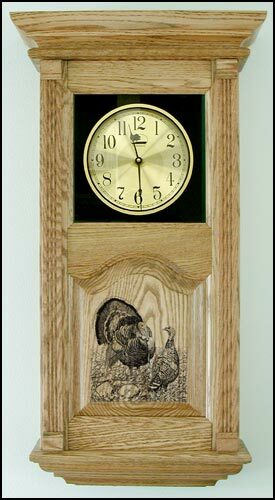 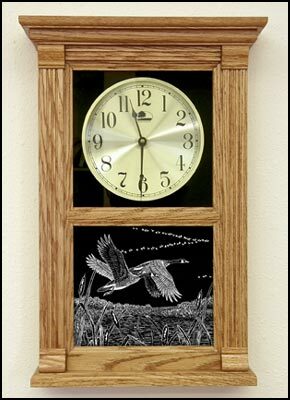 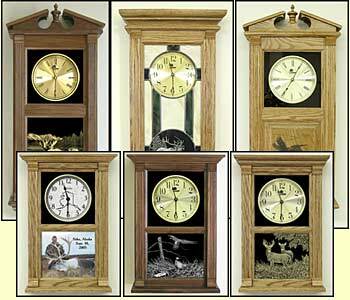 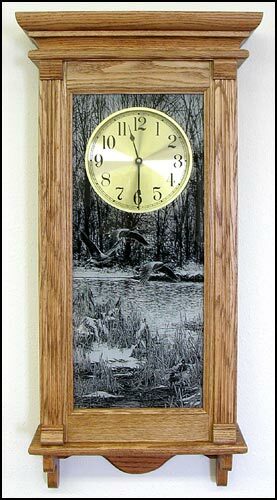 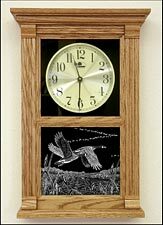 Clocks can be etched with one of our wildlife designs or personalized with a photo you send us. 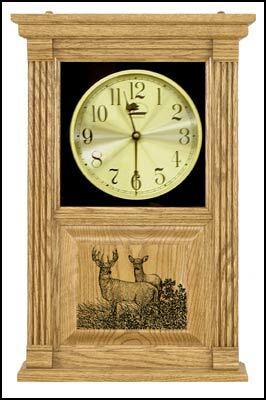 The etched hunter's clocks come in 2 sizes. 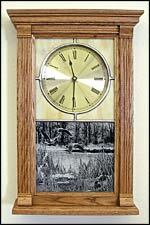 The smaller clock can sit on a mantle or shelf or hang on the wall. 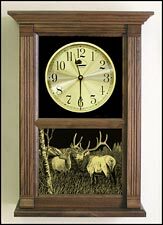 The hunting themed clocks can have the etching on a wood, glass, or stained glass panel. 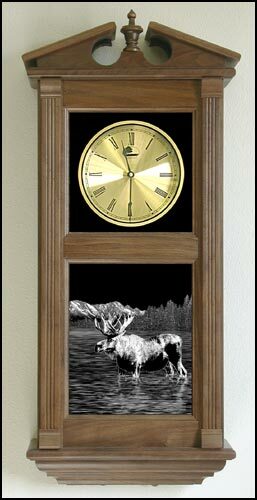 Glass etched panels can be gold or white toned. 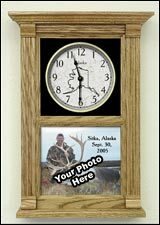 We can also put your favorite hunting photo on either clock in full color for unique gifts for hunters. 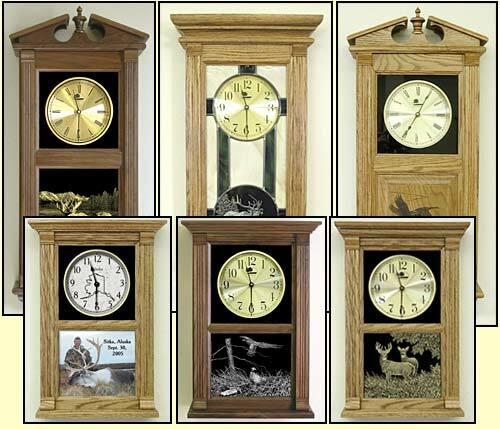 You can make personalized clocks with names and dates and can have a custom face. 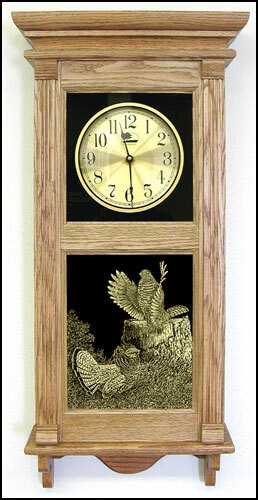 We can also make custom logo etched clocks. 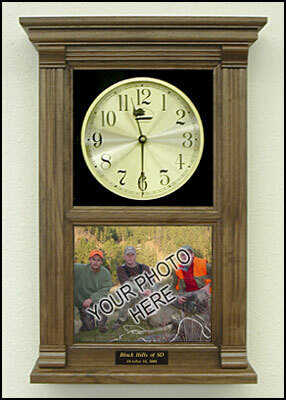 Your photograph or image is reproduced on the bottom panel. 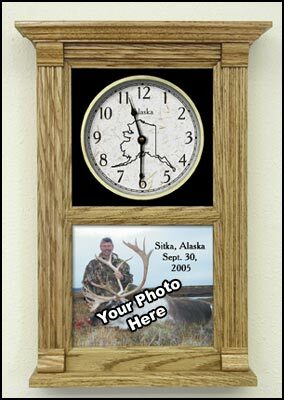 Text can be added over photo, on a text plaque under the picture (add $10) or etched on the wood (add $20). Photo is not damaged and will be returned. 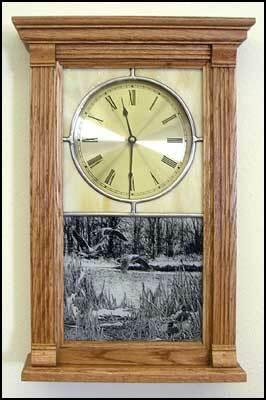 Shown on Walnut. 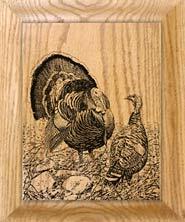 Designs can be etched on wood or glass. 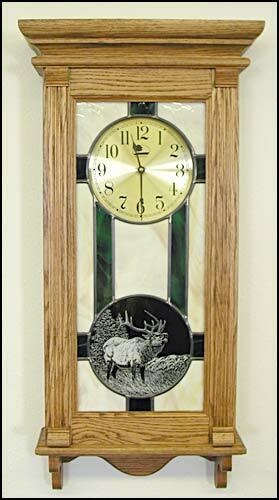 The glass can be white or gold toned. Check out our other products for that special etched gift for hunters.